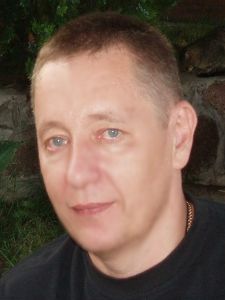 Prior to establishing DIAS Co. Ltd. in 1995, Igor has obtained a higher degree in Marine Engineering from Odessa State Maritime University specializing in Maritime Transport Management and spent over 15 years gaining experience in different aspects of maritime business. He started his career in a Russian Far East port as a Dispatcher and after accumulating a broad knowledge and qualification by 1994 he worked as a Manager of Agency Department and Survey Department in one of the leading Ukrainian companies engaged in maritime business - Diamant Co. Ltd. But apart from acquiring practical knowledge and skills Igor was also involved in scientific research work – for 4 years he was a Research Engineer with the Black Sea Marine Research Institute. During these years he was contributing to and participating in publishing of “International Shipping” journal, which was widely distributed among shipping companies, ports and marine institutes of the European part of the ex-USSR. Lately, having set up DIAS Co. Ltd., he became an editor and publisher of quarterly newsletter “Black Sea Review”, in which his many articles on various aspects and problems of the maritime business were published. He also contributed to various Ukrainian and foreign publications, such as “Ukrainian Shipping”, “Navigation”, “Ports of Ukraine”, "Lloyds List", “Maritime Consultant and Surveyor” and “Correspondent”. Having taken up a position of a General Director of P&I Correspondents company Igor passed P&I Distance Learning Course at South Tyneside College at Newcastle upon Tyne and in 1997 gained the relevant Certificate in P&I Insurance. In the same year he was elected the President of the Ukrainian Association of Marine Surveyors and Consultants, which post he honorably held for 4 yeas. Two years later he became a member of the International Institute of Marine Surveyors (IIMS). Igor is responsible for all aspects in the company. Apart from management he controls finances and oversees handling of all types of claims. 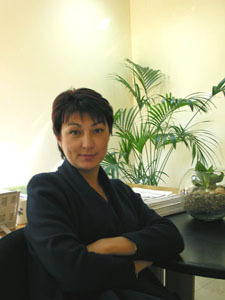 Svetlana has been with DIAS from the very beginning of its activities – since 1995. Prior to that she worked for sometime for Agency Department of “Diamant Co. Ltd.” and about 10 years for Financial Department of Odessa Sea Commercial Port. 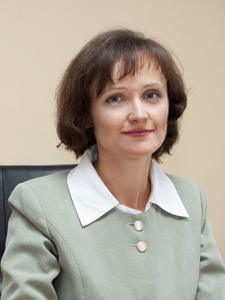 Svetlana hold a higher Degree in Economics obtained from Odessa Maritime University in 1984. In 1993 following International Experience Exchange Program Svetlana visited France and Spain to get training at Financial Departments of Marseilles and Barcelona ports. As a Financial Director of DIAS Svetlana is responsible for all financial operations of the company and monitors the work of DIAS Accounts Department. Dmitriy has been involved into P&I industry for over 15 years since starting his career in a P&I Department of “Ostra” insurance company in 1991. 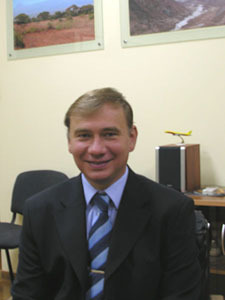 He joined DIAS right after its foundation in 1995. In 1996-1997 he passed North of England / South Tyneside College’s P&I Distance Learning Course and obtained a Certificate in P&I Insurance. In 1999 he became the Manager of DIAS P&I Department. Besides, being a qualified engineer by education (he holds a diploma of Odessa State Polytechnic Institute) Dmitriy also took charge of a Technical and Surveying Department. In 2001 he gained a diploma of a marine surveyor from the International Institute of Marine Surveyors. In 2004 he entered Odessa National Marine University for secondary education seeking Degree in Law. Sine 2006 he has been a Deputy Director of the company having overall responsibility for P&I, Hull and Machinery, Admiralty, FD&D related work. He deals with all aspects of P&I claims specializing in personal injury and death matters, pollution, fines and stowaways claims. Elena has over 10 years experience in P&I Claims after joining the company in 1996 having gained a higher degree with honours in English, Spanish, French and German from Gorlivka State Pedagogical Institute of Foreign Languages. In 1999 Elena passed Management Training YICAP course at the British Council and the UK Club’s courses in Transport Law and Insurance and obtained the relevant Certificates. Since being with the company she also obtained a higher degree in Law from Odessa National Law Academy in 2003. As a Claims Manager Elena is involved in overseeing all Claims Handling Department work and is responsible for all types of claims. She deals specifically with personal injury, loss of life and cargo claims, as well as FD&D matters. 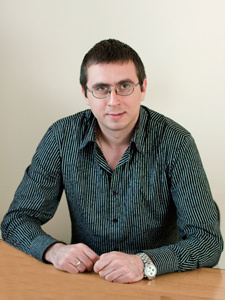 Evgeniy joined DIAS in January 2005 after studying Sea Shipping and Transport Management at Odessa Maritime University and getting some professional experience in a number of shipping and surveying companies. In 2006 he went to Norway for Skuld P&I Insurance course and obtained the respective Certificate. He deals with various P&I matters including personal injury and general crew claims, cargo and damage to fixed and floating objects claims, as well as fines and pollution cases. Artyom joined the company in October 2005 after half a year training at DIAS P&I Department and graduation from Odessa Maritime University with a higher degree in Maritime Law and he is quickly gaining experience in most aspects of P&I claims related work. Artyom specializes in personal injury and cargo claims. He got special training as a marine surveyor in a couple of surveying companies. He is also concerned with pollution and damage to property claims. 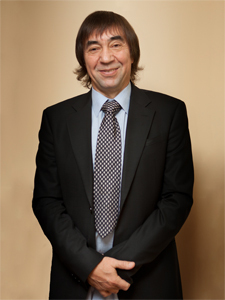 Before joining DIAS in 1997 Boris had over 10 years experience as Radioelectronic Engineer (he holds a higher degree in Radioelectronic Engineering obtained from Odessa State Polytechnic Institute in 1983) servicing communication and navigation devices onboard the ships. He successfully passed a number of special courses of marine electronic equipment manufacturers and holds the relevant certificates. His responsibilities include surveys of radio installations on behalf of Classification Societies. Boris also leads a group of engineers providing various technical services in respect of ships’ communication and navigation equipment. Olga has been with the company for over 10 years after graduating from Odessa National University in 1993 and obtaining of the degree in Russian Philology and Education. Apart from being an experienced office manager and administrative assistant she is also in charge of DIAS Personnel Department. Elena joined Claims Handling Department of DIAS Co. Ltd. in January 2004, prior to which she worked for over two years for DIAS Legal Firm as an assistant lawyer. In 2001 she gained a higher degree in Romanic-Germanic Philology and Education from Odessa National University. Her main responsibilities in the company are personal injury claims and coordination and development of Pre-Employment Medical Examinations (PEME) Program.